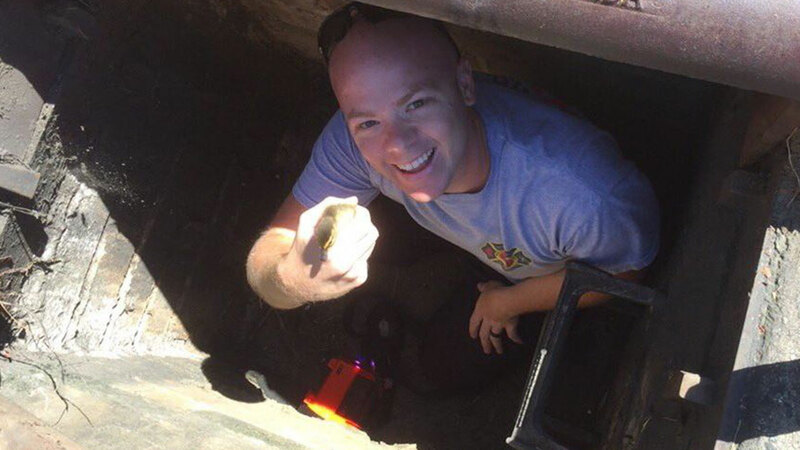 HUNTERSVILLE, North Carolina -- Some North Carolina firefighters went above and beyond - and "below" - to rescue some ducklings who were trapped in a storm drain. The firefighters crammed inside a drain Tuesday afternoon in Huntersville to get the baby ducks out one-by-one. They managed to save all 10 ducklings. The little ones are now with the Huntersville Animal Control, being nursed back to health, according to WSOC.